At the recent Heartland climate skeptics’ conference in Chicago, I took thousands of photos. This morning I published Part 1 of a photo essay from those three days on my photography website. An event such as this has a mood, a personality. The challenge is to capture fleeting moments that faithfully represent the larger whole. 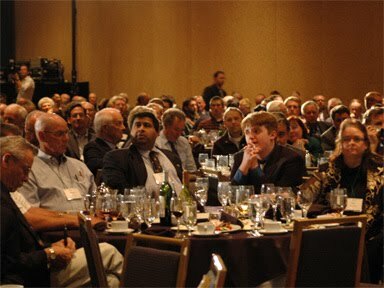 At more than 700-strong, the participants at this conference were diverse. They came from a variety of countries, cultural backgrounds, and political persuasions. They were engaging presenters and attentive listeners. They didn’t always agree but treated each other with respect nevertheless. In case you missed them, some photos of UK climate skeptic James Delingpole appear HERE. You can also see photos from last year’s one-day skeptics’ conference in Washington, D.C. HERE. This entry was posted on June 7, 2010 by Donna Laframboise in Uncategorized and tagged Heartland Institute, photos, skeptic.